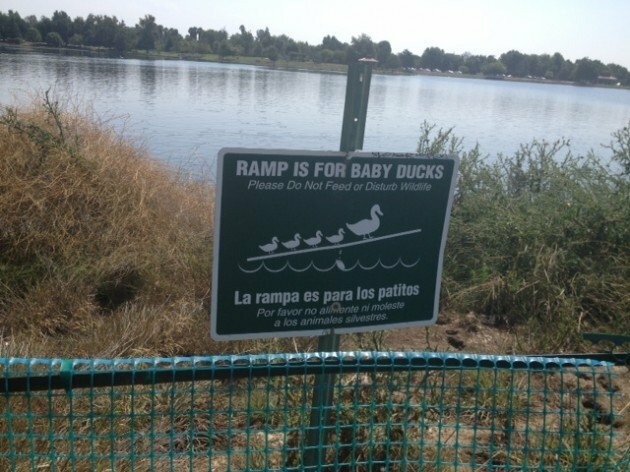 Whichever city Lake Balboa is in, it gets my vote because it makes way for ducklings. That’s what Audubon California wants to know. (If the municipality is in California, that is.) Through next week, it’s running a contest to determine the state’s most bird-friendly burg, considering factors like adequate habitat, laws and regulations that benefit birds, and the general populace’s interest in all things avian. No word on what the grand prize is, but anyone who helps spread the word about the promotion will get a “Birds Matter” sticker. According to an Audubon California spokesperson, the contest is part of Audubon’s national effort to make communities more bird-friendly and -aware. If your state chapter isn’t running a similar campaign (or if you live out of Audubon’s auspices), feel free to make the comments section below your voting booth. What place do you think deserves “bird-friendliest” honors, and why?